Created by British decorative lighting designers, Heathfield & Co, the Lunar range of pendants takes inspiration from the captivating presence of the moon. With a drop height of 56mm, the Lunar Short Pendant is the perfect accent light for a range of interior schemes and is available with two exquisitely crafted glass shade options. The Speckle glass finish provides dramatic monochromatic detailing; echoing the moon’s unique stippled appearance. The more understated Blanc glass finish offers a classic elegance with subtly varying ivory tones. 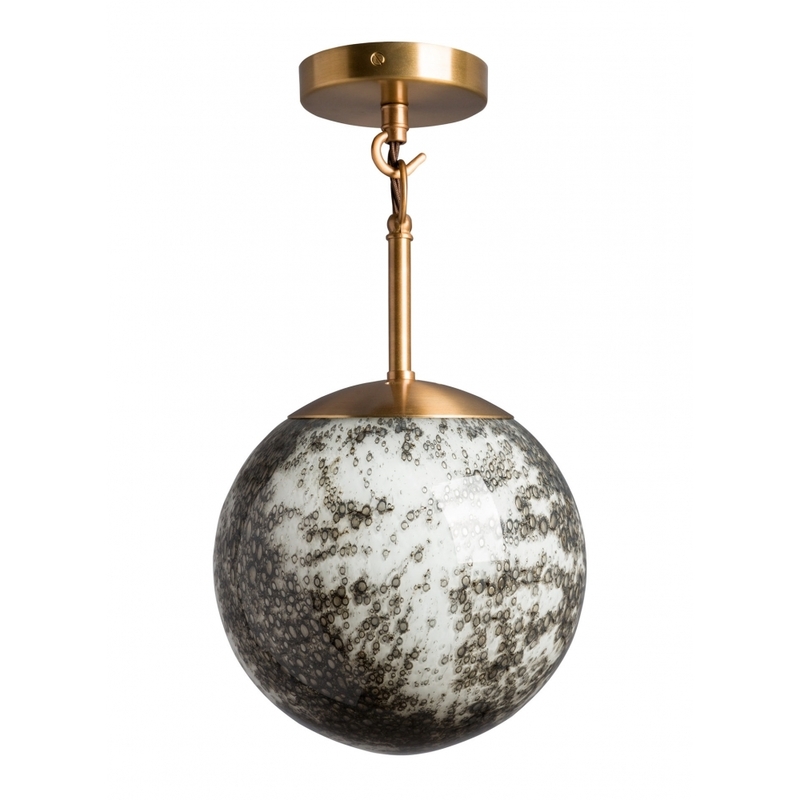 Each glass sphere is expertly handcrafted, carries its own unique patterning and sits beautifully with the luxurious antique brass metalwork. The Lunar Pendant range by Heathfield & Co is available in three suspension lengths for maximum versatility allowing you to create your own unique lighting arrangement. Why not cluster Lunar Pendants for a stunning, spiral tiered drop effect to accent a double height hallway, or space above a dining table to deliver stunning yet practical task lighting.